There are many groups in the Pittsburgh area that meet at various locations to make Project Linus blankets. The main activity for the chapter occurs, however, at the Chapter Headquarters, located in Caste Shoppes in Whitehall Borough. Below are the scheduled meeting times for the remainder of 2016. 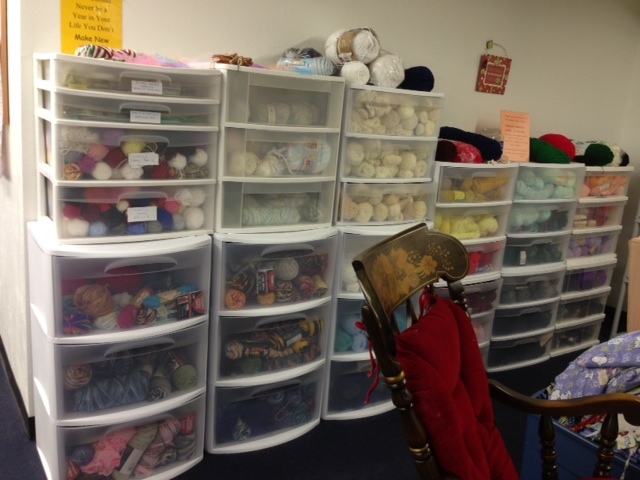 Closed for cleaning and reorganization. 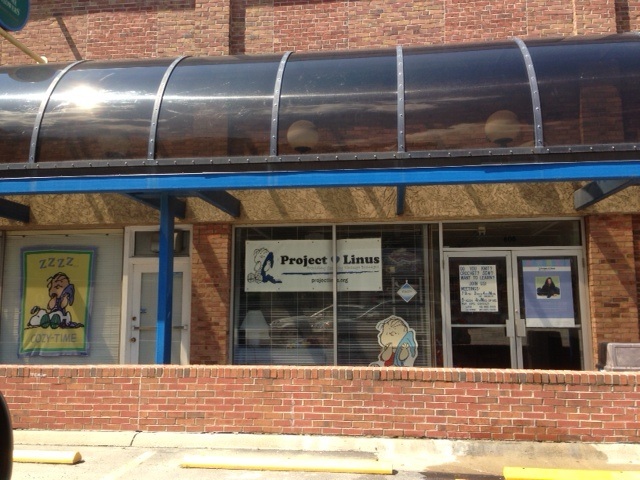 Project Linus wishes to express its sincere gratitude and heartfelt appreciation to Thomas Caste and the Royal Mile Management Company for the donation of the wonderful storefront we call the PLACE. Since we moved into the PLACE in April 2011, we have been able to expand our meeting times, host church mission days, and corporate volunteer days, plus offer community service opportunities for area residents. 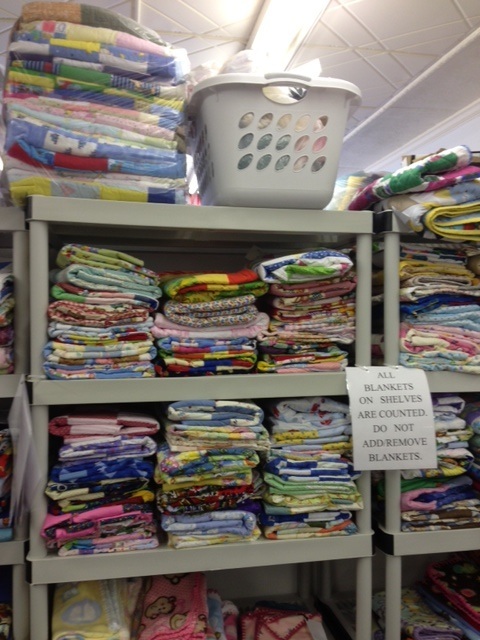 The PLACE is where we collect, sort, launder and bag blankets for delivery. 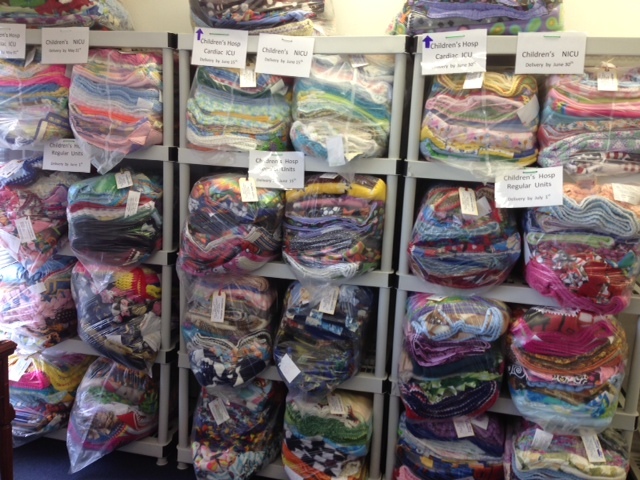 We store donated fabric and yarn which is made available to interested volunteers.